Just last week, Kali released her EP titled “Por Vida.” The EP is 9 tracks and even features production from Tyler The Creator. The EP is mesmerizing, it’s filled with soulful vocals and hypnotic hooks. The lyrics are simple and add to Kali’s spell. My personal favorites from this EP are “Rush” & “Speed”. Kinda weird how that worked out? I really love the production on these two tracks. Rush is upbeat and entertaining, it’s a feel good track in a different way. I can’t really explain it? There’s a lot of new and old sounds mixed together here. Steady and ear-catching drums as well. It almost sounds like some old Mark Ronson, I love it. Then there’s Speed. Definitely my favorite off of the whole EP. It follows the common themes and vibes of the album. It’s mesmerizing and completely hypnotic. Kali’s voice is so perfect for this song and I really hope she makes a video for it. Even though the song is simple I get such a strong mental vision when I listen to it. I really want them to bring this song to life. In general, I love the EP. It was something that I had really been anticipating and it didn’t disappoint me in the least. The only thing I could ask for is more tracks rather than just 9. I love what Kali is doing and I know she’s going to blow up fast. She’s talented, refreshing, gorgeous, and has a one of a kind style. Sounds like the formula to fame. You can listen to the EP on Kali’s SoundCloud and download it as well. 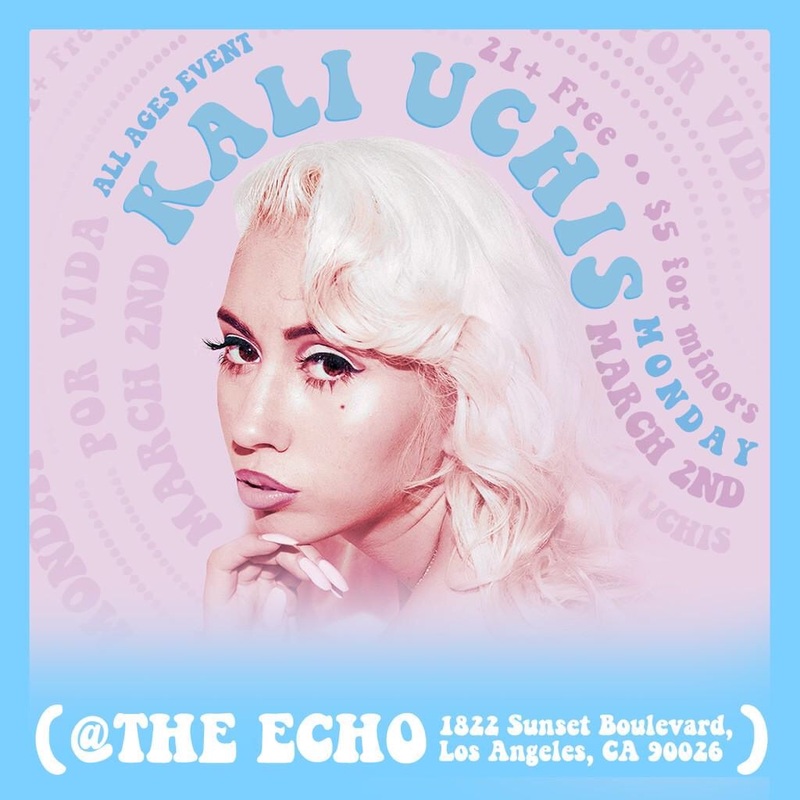 Also, Kali is having a free show next month! I’m very excited for this, I definitely plan on attending. If you wanna know more info, everything is available below.